According to a report, released in March 2018, by the National Commission for Human Rights (NCHR), around 509 people from the Hazara community have been killed and 627 have been injured in Quetta during the last five years. The Shia and Sunni sectarian rift started in Pakistan by the then military dictator General Ziaul Haq in a bid to legitimise his martial law. Pakistan has since been facing ethnic and sect-based wars between Shia and Sunni Muslims. Members of the Hazara community are easily recognisable due to their distinct features that separate them from other communities. The banned Sunni outfits, mostly backed by the Taliban and al Qaeda, take advantage of this fact and target them. Due to this threat, they are forced to live in colonies with high concrete walls and a security gate with multiple check posts. They are advised by law enforcement agencies not to roam freely in the city of Quetta and should stay home after 8pm as it is not safe for them to leave their residential areas after dark. The recent killings of people from the Hazara community have sparked rage amongst the whole community and a certain segment of the general public. 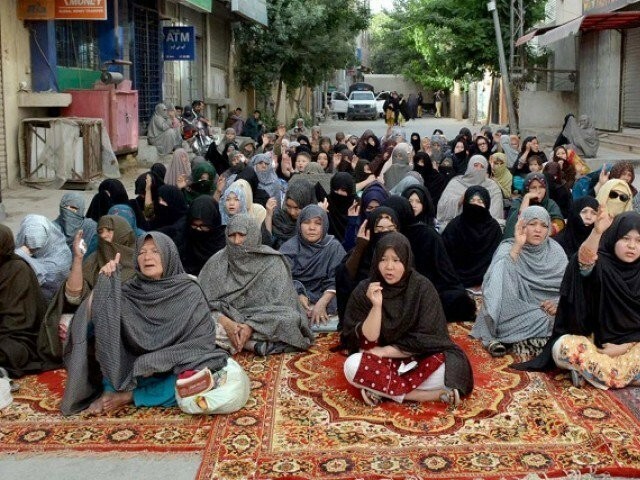 A civil rights activist, Advocate Jalila Haider, and other protestors from the community have gone on a hunger strike against Hazara’s genocide. During the protest Interior Minister Ahsan Iqbal assured Haider that they will take all possible measures to protect the Hazara community but she simply refused to end her hunger strike. She insisted on meeting the Chief of Army Staff (COAS), General Qamar Javed Bajwa, for an immediate resolution of the issue and seeking a guarantee from him. General Bajwa, after seeing the civil administration’s failure in addressing the concerns of Haider and the Hazara community, visited Quetta and met with them. His assurance of taking strict actions against the terrorists who are involved in target killings, convinced the Hazaras and Haider to end their protest. Soon after this meeting, a terrorist suspected of being involved in the killings was also arrested. This raises questions; why did it take General Bajwa’s visit and personal attention to arrest a suspect? Why were the law enforcement agencies reluctant to arrest the suspects, even when Haider was pointing out that the extremists from Lashkar-e-Jhangvi (LeJ) were roaming freely in the city of Quetta? Banned extremist group LeJ, which usually claims responsibility of the killings of the Hazara community, is never targeted by the law enforcement agencies. It seems that while the state is busy in suppressing the insurgency and unrest in Balochistan, the protection of the Hazara community does not top the priority list, or perhaps the community is considered collateral damage in the war against the actors in Balochistan. The locals believe that to counter the separatists and other foreign spy agencies’ involvement in the province, law enforcement agencies support banned outfits like LeJ and think of them as a strategic asset to counter proxy war in Balochistan. Soon after the meeting between General Bajwa and the Hazaras, Chief Justice of Pakistan (CJP) Mian Saqib Nisar took a suo moto notice of the target killings of Hazaras. However, one wonders what took the CJP so long to take notice of this issue that has been plaguing the nation for so long? Instead of taking up political cases, he should have turned his attention towards this matter which may have saved many precious lives. However, now when the case is finally in the Supreme Court, one does hope that not only will the court deliver speedy justice but it will also end Hazara’s economic marginalisation, by directing the provincial government to provide equal economic opportunities for the community. Currently, the community is deprived of jobs by both the private and public sectors, as giving them employment is considered to invite the wrath of banned outfits for the employers. Whether General Bajwa’s visit and the CJP taking suo moto notice of the killings will be able to stop this genocide remains the most important question. If the administration wants to really address the issue, it will need to bring structural reforms in the society by changing the narrative that breeds extremism. Since Sunni Muslims make up majority of this country, the killing of Shias is a lesser concern. A lot of them hold the belief that to kill someone or to be killed in the name of sect and religion is a duty of the believers. The fact that the Hazara community and other marginalised minorities living in a constant state of fear, is an indication that the state needs to create a new social order and social narrative based purely on the principles of modern social sciences. Unless this current narrative of hatred towards others based on their belief and faith is not changed entirely, the Hazara community and other minorities will continue to die through the hands of fanatics. The collective social suffocation, inability to live in reality and unwillingness to accept the modern and changed civilisation, combined with personal frustration, keeps giving a free hand to these extremists. They would keep on exploiting sect and religion, and kill people who are not ready to buy in to the interpretation of narratives of their faith merchants and right wing clerics. The new social contract is the need of the hour. The COAS and the Supreme Court can provide temporary relief to the problem, but it is the elected representatives and political leaders who can provide a permanent solution. Unfortunately, due to the fear of losing their vote bank, all the major parties and political leaders refrain from bringing structural changes and discouraging the violence in the name of sect and religion. They need to come forward and start condemning the inhuman act of killing and marginalising minorities like the Hazaras. It is the duty of the elected government and representatives to form a policy that can help in changing this extremist mindset. By not addressing the root cause, the killings will eventually start again. Because the Hazaras and other minorities are not just being killed by human beings, they are being killed by a mindset and that, unfortunately, can neither be taken into custody nor be shot dead. Pakistanis are wide awake. Just look at their “concern” and “solidarity” with Kashmiris, Palestinians, Rohingyas etc. such thing as a secular Hindustan. Hindus will dominate parliament, Hindus will dominate provincial govts. Hindus will dominate local govts. and businesses, and industries etc. And so it goes on. And how true that has proven to be! In a not so decent or happy way. Pakistan may not be the best idealistic country. It is as near the Muslims of the sub continent could have hoped for. And call their own, unequivocally. Pakistan will get there in due time. Rest assured. Guaranteed. It will just take some time. Your premise is pretty good and thought provoking. But did you consider state sponsored terrorism by Hindustan? Most of the terrorists outfits in Pakistan are supported, supplied, maintained and equipped by Bharat. With the help and through the territory of Afghanistan. Jundulla and Le Jhangvi the main terrorists outfits in Quetta area are sponsored by Bharat. terrorist activities not only in Pakistan but in Sri Lanka, Nepal and Bangladesh. Rohingyas, Nepalese, Sri Lankans, Yemenis, Lebanese are going through. Pakistanis knows what pain and suffering is. To live under oppressive conditions. Hazaras. 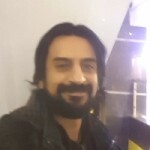 Ismailis, Agha Khanis. True, minorities are mistreated in Pakland. True. Only an idiot will deny that. But remember, it’s worse in Bharat. Look in the mirror. That is the reason why Pakistanis support Indian Kashmiris, Indian Muslims, Rohingyas. Palestinians, They have seen these oppressions in their own country, first hand. No one can deny that minorities are treated very badly in the Land of the Pure. IHRC, have ample proof. The whole world knows this. You would be a fool to think otherwise or make pathetic excuses. hellfire road to salvation and peace and a better country. Just need a true leader. since they are Muslims but considered heretics by fanatic Sunni sects. And on it goes. The Hindus the Christians the Zikris the Sikhs have their own living hells. with nowhere to go. With corrupt thugs in the govt. looking the other way. Complacent. Well when the fanatics Khawarijis have finished decimating the Shias, who will they turn on?